The main tutoring rooms for the Academic Success Center. Photos by, Olivia Cintron. From two rooms, no windows, and a home in the basement of Engleman Hall, the Writing and Tutorial centers are expected to undergo some drastic changes fall 2015. The Writing Center and Tutorial Center will merge into one new center, The Academic Success Center, and will be redefined with a new space and new technology. Two of the views accessible from the Academic Success Center. Photos by, Olivia Cintron. The two centers are currently located in A014 and A012 in the basement of Engleman Hall. The rooms are separated by a door way, and in the Writing Center, the space is defined by makeshift walls. The centers currently offer free tutoring to Southern students. The Academic Success Center will receive a wing on the third floor in the newly renovated Buley Library. “The move should take place anywhere between August to November. It will be dependent on when the furniture and technology arrive,” said Katie De Oliveira, the director of the Academic Success Center. According to De Oliveria this will more than quadruple the space. “Its all a work in progress,” said De Oliveria. According to De Oliveria this new space will contain, a big reception area where students will enter and wait for their tutoring appointments. There will be three offices for staff, two large tutoring rooms and a smaller room that will be designated as the Reading/Writing Studio. There will also be a small computer lab that will be mainly used and designated as the Math Lab. The last two rooms will be used as a workshop space and a break room. The break room and new reception area for the Academic Success Center. Photo by, Olivia Cintron. De Oliveria said she hopes that the new space will bring in even more students because of the easy access location. Tom Ferrucci, the current coordinator of the Writing Center and Tutorial Center, said that over the last five years the center saw an average of 1,450 students a year. Even though De Oliveria is excited about the space, she said she’s most excited about the technology, although none of her plans are 100 percent concrete at the moment. The hope, De Oliveria said, is that the new technology will allow for tutors to reach students in a variety of different ways. She recognizes that not all students learn the same way. Tutors and students are excited about the move too. Vinncent Ceccarelli, sophomore nursing major, credits the Tutoring Center for helping him pass the class. Math tutor Rye Howard-Stone, said he’s very excited about the move. “Being in the library will definitley make us more centralized. We are moving things forward and changing stuff up,” said Howard-Stone. Students and Staff reflect on the Writing and Tutorial Center and the upcoming move to the newly renovated Buley Library. Jean InCampo, tutor since 2007, shared her enthusiasm about the writing center’s new space. “We are really excited about it, for one it’s a much better location for many more students in Buley Library,” said InCampo. Buley Library will provide the students who used the Writing and Tutorial Center with more resources such as textbooks, space and computers said InCampo. The writing and tutorial Center is in the basement of Engleman Hall with dim lights and limited space where students easily pass by. Tianna Barret, sophomore said although she has been visiting the center since a freshman she would like to see the center improve. Along with several other students and staff, Paul Klaucke, senior, Physics major and Kacey Crompton, pre-nursing major both agree that the relocation will bring exposure and benefits to the Writing and Tutorial Center. “The outcome of people coming to the tutoring center will be greater if it moved to the library because no one knows it’s down here,” said Crompton. Vincent Howard, math tutor, is also excited about the technology and space the move will bring. 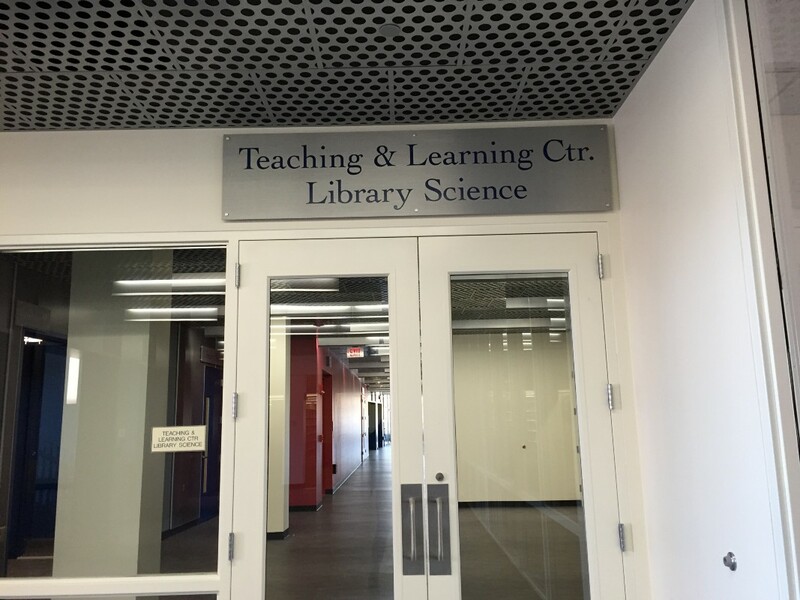 “I am definitely excited about the direction that we are moving towards, it seems that we are all coalescing into a more a coherent group….And being in the library will definitely make us more centralized and having the office of Study Skills Enrichment right there is going to allow us to coordinate different things,” said Howard. Nonetheless, it is not certain that more staff will be joining the Writing and Tutorial Center once relocated due to Southern Connecticut State University current budget cuts.